Prepare to be blown away by an interactive digital media exhibition by current CQUniversity students and recent graduates of the Bachelor of Multimedia Studies program. 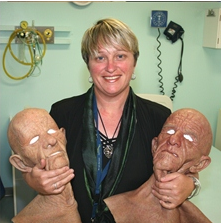 Raw Digitalent is a free exhibition which is being launched on Friday, October 5 from 5pm at the Central Queensland Conservatorium of Music at CQUniversity Mackay, and will remain open to the wider public during business hours until October 26. The exhibition will feature 2D and 3D animation, graphic design, web design, games, illustration, photography and video and unlike regular exhibitions, the Raw Digitalent will give audiences the chance to interact with the art works on show. For the best part of this week I have been out on the road attending graduation ceremonies at our various campuses - and I must say it’s one of my favourite times of the year. I’ve been to many ceremonies in my time, but never tire of going to more. I love to be able to share in this experience with our students and farewell them as they continue on in their lives – whether it be on to careers, travel or further study. As much as celebrating a graduation is an important and significant milestone and achievement for our students sometimes it’s even more so for their families – and this is the thing I enjoy witnessing the most. Some of our students are the first in their families to attend university and so their achievement also becomes the achievement of their entire family. Watching a child graduate and achieve a degree is undoubtedly one of the proudest moments a parent can have – particularly if that child has followed a non-traditional path into study. Conversely, it is wonderful to see the young (and older!) children of our many mature age graduates cheering on their Mum or Dad at every ceremony we hold. Meeting with the families of students and hearing their unique stories is always the highlight of every graduation event. CQUniversity has the highest percentage of students from lower socio-economic backgrounds than any other university in Australia, so it’s fair to say that many of our students may have faced some sort of financial hardship or other obstacle during their time at university. This just makes the achievement even greater. 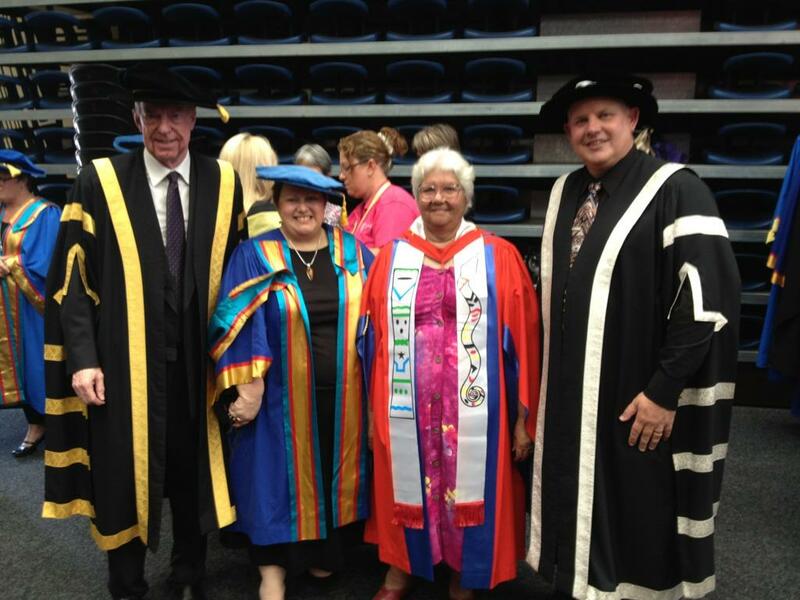 Along with students and their families graduation days are also special for CQUniversity staff. 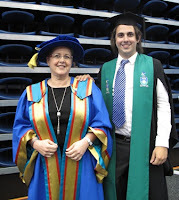 I always encourage staff from both our professional and academic areas to attend ceremonies wherever possible. I believe it means a lot to our students and their families to meet with the people who have directly or indirectly helped and influenced them during their time studying, and it is also a great opportunity for our staff to see firsthand what we are achieving, the futures that are being shaped and how we are changing lives for the better. Good luck to all of the students who are about to graduate and embark on the next chapter of their lives - thank you for choosing CQUniversity and may you realise every success along the way. Thanks also to the families and CQUni staff who have provided guidance and support along the way. 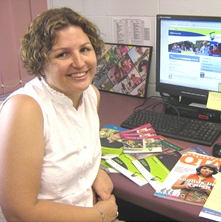 Avid followers of this blog will hopefully recall my previous post about CQUniversity celebrating 20 years of university status in 2012. If, like me, you’ve only been at the university for a few years, or if you’re not fully acquainted with the rich history of the institution (going all the way back to 1967, when it was known as the Queensland Institute of Technology Capricornia), then you should definitely have a look at this great video put together by the University. It will bring you up to speed on 45 years of history in a little over six minutes! 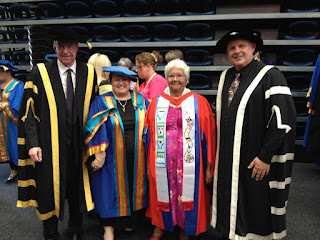 While the fashions may have changed, it is evident that one thing about CQUniversity and its predecessor institutions has stayed the same: the commitment to providing quality learning outcomes for Central Queensland communities (and beyond). It’s a legacy we look forward to honouring over the next 20 years as well.